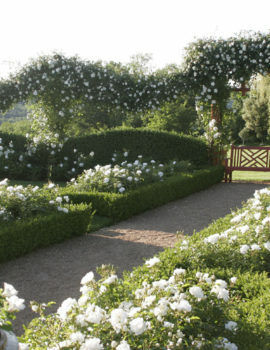 The White Garden is a recent addition to Eyrignac, dating from the year 2000. The White Garden is the perfect complement to the existing French Garden, harmoniously blending perspective and sculptured clipped plants. 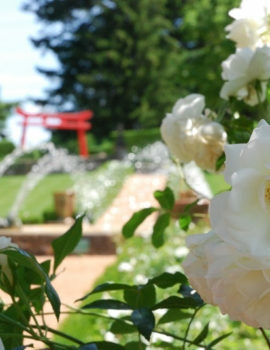 Located at the edge of the magnificent green garden, it brings poetry and lightness to the entire garden. 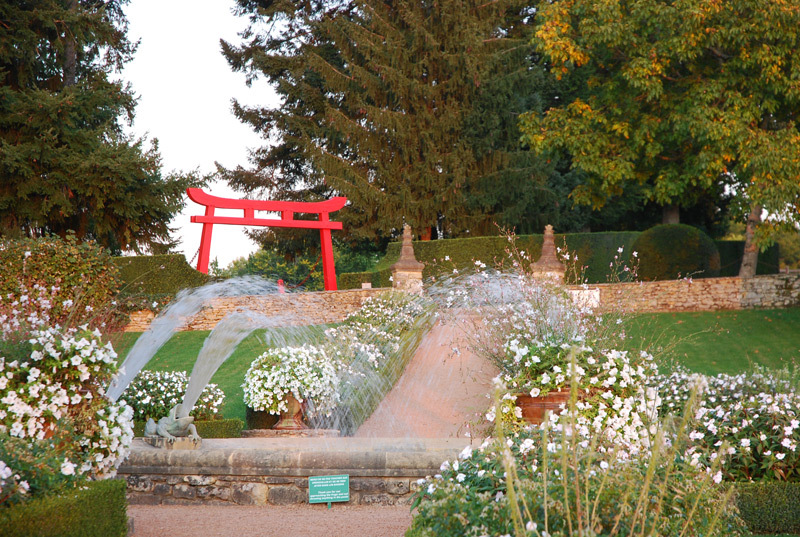 The playful fountains in the five water features, gushing with life, are in contrast to the still water of the ‘miroirs’ (ornamental lakes) in the French-style Garden. 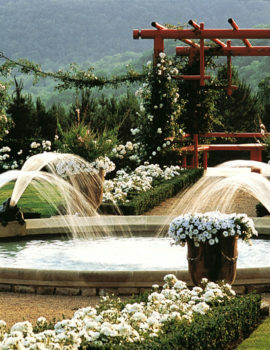 In the grand old gardens, there was often a “White Garden”, synonymous with purity and elegance. 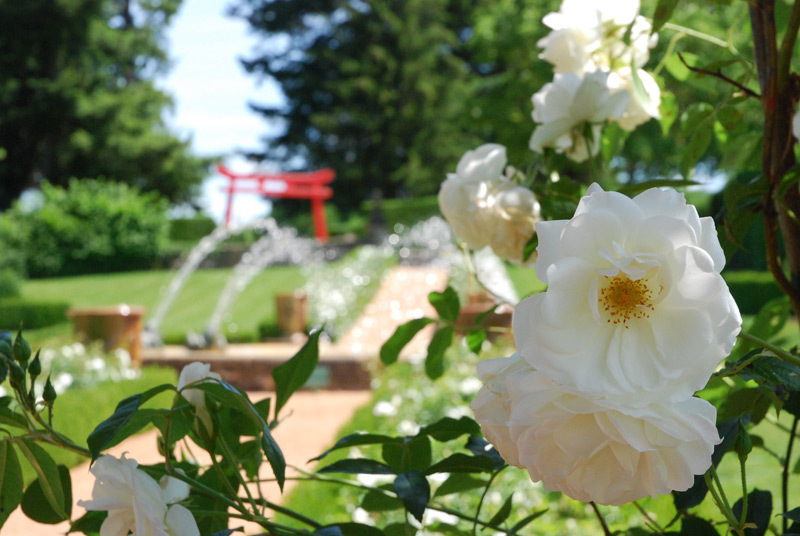 The garden is planted with 500 white roses : two varieties of repeat flowering roses (Opalia and Madame Alfred Carrière) selected for their long flowering period from late May to the first frosts. 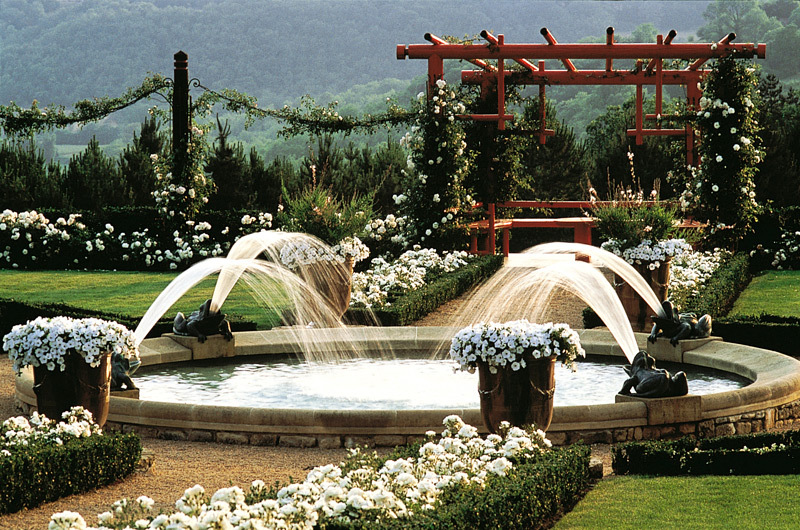 In season, the principal water feature decorated with four bronze frogs each spouting a jet of water is surrounded by Anduze Vases filled with Petunia surfinia and gauras. The paths are edged with white flowers, the varieties changing depending on the season: roses, hibiscus, hydrangeas, hyacinths, tulips, narcissus, impatiens, salvias, gauras, cleomes, dahlias. In the White Garden there is an architectural decoration, one of the famous “quality workmanship” pieces. 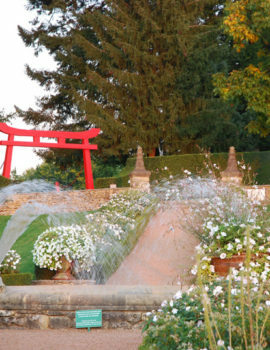 A red-lacquered gate reminiscent of the Far East, making reference to the Chinese Pagoda or the Japanese Torii. 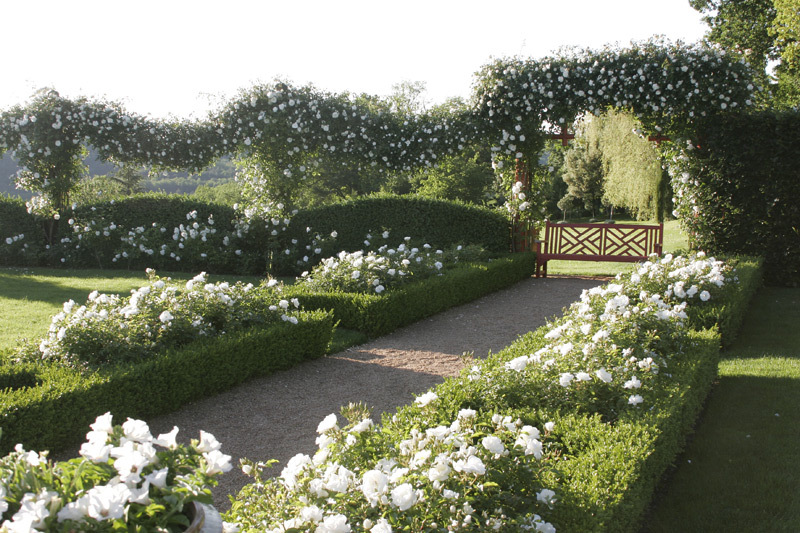 At the end of the White Garden is an unrestricted view of the Dordogne landscape and from this vantage point one can witness the marvelous spectacle of the setting sun.